It’s almost a daily occurrence: you open Facebook or Fstoppers, and someone is telling you that it’s not okay to shoot for free. If you’re not getting paid for your work, you’re devaluing the entire industry. But chances are we’ve all done it at some point, we’ll probably all do it again, and If you don’t, you’re only hurting yourself. I wasn’t born a skillful photographer with a complete grasp of composition and a mastery of light; I had to learn, then I forgot, then I grew a magnificent beard, and then I had to learn all over again. Early on, I was terrible. Luckily, I didn’t realize just how terrible, or I might have thrown in the towel then and there. No one was paying me to shoot, which meant that no one had to feel ripped off. Thankfully, I did get a little better. 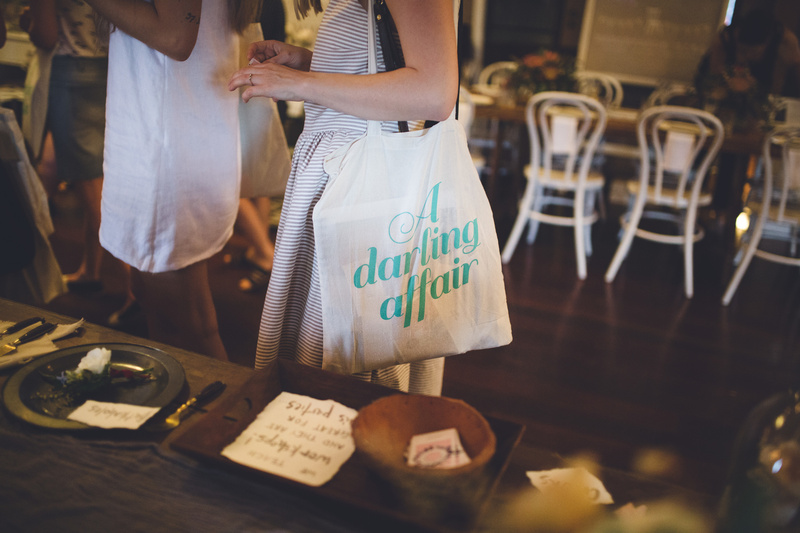 We shot coverage of the "A Darling Affair" wedding fair, made a lot of contacts, and got valuable targeted exposure. I never officially studied photography; I’d always intended to, but people started paying me to play music instead, and I was forced to choose between spending my money on guitars or film, and guitars won. 10 years later,digital cameras had reached a price that even a musician could afford, and a Nikon D80 with a 50mm f/1.8 reintroduced me to photography, but I still had no thoughts of becoming a working photographer. I shot because I loved it, I shot whatever I wanted, and I learned a lot. So, when It came time for my first client, a 21st birthday party, I felt confident in putting my skills where their money was. 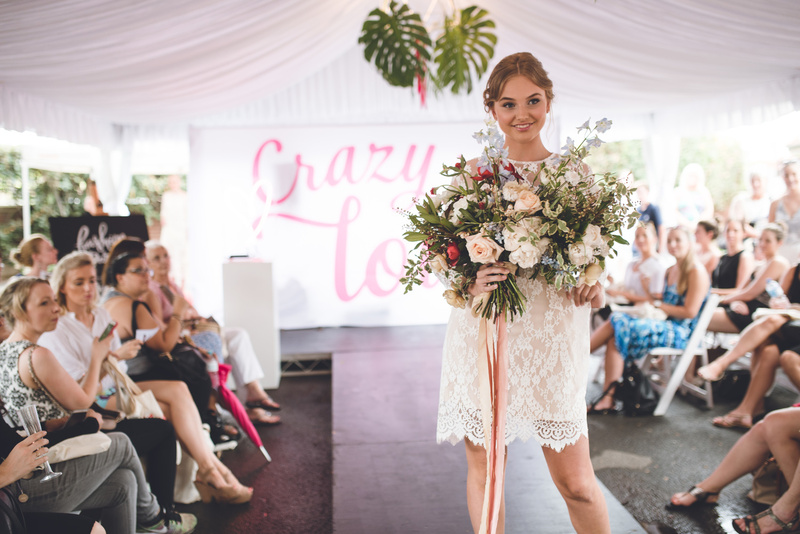 Another year of personal projects later, and Photographer Duncan Cox introduced my wife, Lizzie, and I to the exciting world of wedding photography. Lizzie worked as his full-time assistant with me tagging along whenever he needed. At Duncan’s suggestion, we set ourselves up as our own company so that he could recommend us for jobs he wasn’t able to shoot, but no one was going to hire a photographer that couldn't show them any previous work. We needed to build a portfolio, so we shot for free. We got onto a Facebook group for budget brides, explained our situation, and offered our first ten weddings for free. A few weeks later, we had our own portfolio and felt comfortable again asking people to pay for our services. We shot a lot of weddings in those first few years: 50 weddings a season, sometimes 3 a week. If we just went through the motions and shot the same shots every time, we would’ve burned out pretty quickly, but at the same time, the middle of someone's wedding is not the time to start messing around learning new techniques. So, all our spare time we spent experimenting and shooting for free to keep up the creativity: everything from our own location-scouting, fun runs, backstage for the local theatre, to a two-day youth festival. Whatever needed shooting, we offered to shoot it, and then fed the skills and the experience back into our weddings, building value for our clients. 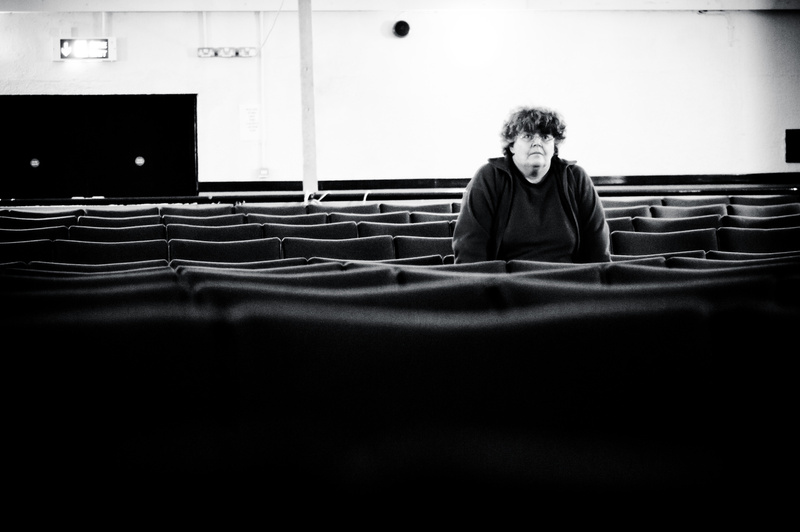 We shot a little behind the scenes at a local theatre production just for fun, but they loved the images. I’m now in my 40s, and I’ve shot a lot of stuff where I didn’t get paid, I don’t have any problem with it, and I’ll offer it if I want to; where I draw the line is being asked to shoot for free. If I have an idea that I want to explore, or I see a situation that I think would benefit from my photography, I’m happy to shoot it. Sometimes, the people I’m shooting for haven’t realized how photography could be of benefit to what they’re doing, so I’ll show them, but when someone can see the value, but still have the gall to ask you to work for free, that’s the true villainy. This is the big difference: choosing to do unpaid work as opposed to being asked to do free work. 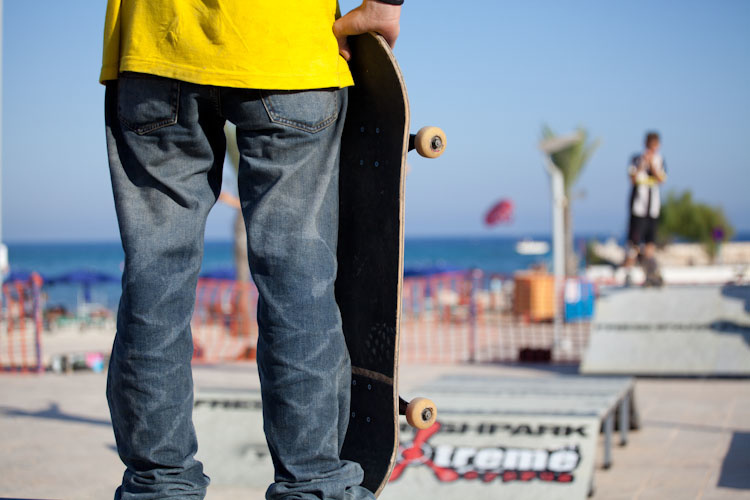 The first Ayia Napa Youth Festival hadn't thought about photographic coverage, so we offered for fun and ended up selling some of the images to the local skaters. But we all know that not all exposure was created equal. Having your work seen by 1,000 people who are never going to need your services has as much value as no one seeing your work, but an hour or two of unpaid work or social media posting that snowballs into a string of paid shoots is worth the inconvenience. Working for exposure is always going to be a gamble, but if you know the odds and the value of the cost vs payout, you can minimize the risk, and if it doesn’t pay out this time, you can usually learn from it. The "A Darling Affair" coverage included elements that we'd never shot before, like a fashion parade. Now, I have that in my portfolio. The key is value. If someone offers you unpaid work and it looks like they’re getting what they want while you take all the risk and get nothing of value, it’s probably a good idea to say no. If, on the other hand, you choose to work, with your highest value being to get nothing more than the experience, then you’ve removed the risk, and anything else is gravy. Usually, you’re aiming for a sweet spot somewhere in the middle, but like a lot of sweet spots, it can be hard to find, and the people that haven’t found it will tell you that it doesn’t exist. What do you think? How much unpaid work or time do you do as part of your business? If you don’t do any, please tell me how? I'm still in the "very enthusiastic amateur" phase but the general rule that I try to follow is that if the assignment is commercial in nature (event coverage, catalogs, professional headshots), I will ask for some sort of compensation. if the project is somewhat artistic in nature and I am part of the creative team, I usually prefer to work on a trade basis. As far as "exposure" is concerned, I've only found it beneficial for leading to future trade collaborations. I will tend to accept such offers when sourced from other creatives or talent. I cringe when established businesses offer "exposure" for photography work but the models receive additional compensation. Shoot for yourself for free. Shoot for others for a fee. Best advice I give everyone looking to get into the industry. indeed, thats the essence of "value"
In my opinion, it's not really "free work." It's a "favor." Never work for free. The problem that people have with doing favors is that they don't understand the difference between immediate and delayed returns. 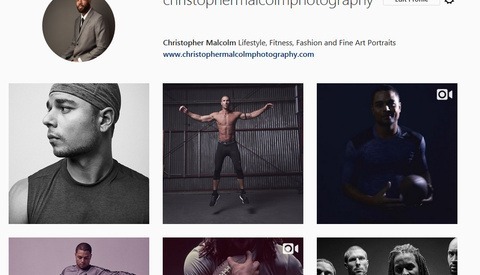 If a photographer is building a portfolio, then he is "investing" in a portfolio. Investments have payoffs that come later. The key is to make sure that you're investing in something good and not making a bad investment. In other words, refuse to do favors that won't look good in your portfolio or lead to better work at a later date. Doing favors is a more sophisticated way of looking at money relations and exchanges. Many of us came from lower class backgrounds, and we tend to think like wage workers that punch a clock and get a paycheck right away. But that's not how the photography industry works. Photographers make the most money when they apply upper-class investor type of attitudes towards money making. In other words, they are willing to do favors, network, make investments, and wait for delayed returns. They also have the confidence to charge more for their services when they do charge. The best advice I ever got about shooting commercial work was to "never do a paying shoot for less than $1000." That advice wouldn't work for normal portrait shooters, but the point is that it's often better to be high priced and willing to do favors rather than lower priced and unwilling to do favors. I like that "it's often better to be high priced and willing to do favors rather than lower priced and unwilling to do favors.". That adds value to you personally and physically. Thanks for the article Mr. Mynard. It makes sense to me and helped me to differentiate between free work and fee work. I like the idea of building up a portfolio from free work because I do not have a portfolio and have to start somewhere. Thanks again. Unless it's for a charity or a collaboration between say a make up artist or hairdresser then charge for every piece of work. The person or company who gets you to do work for free from them will never pay you to do work in the future. Why would they? they could just get another enthusiastic amateur to shoot for free. And I'm sorry but a doctor checking out a rash or a mechanic listening to a dodgy motor is completely different to a photographer shooting, and editing and event or whatever it may be. im happy to show someone round their new camera if I'm in a social event or give them a few tips but I'm not spending hours shooting and editing for free. I agree, it gets my back up when someones asks me to shoot for free, but I love to shoot and I have a bunch of ideas that I want to try out so I have no problem offering to shoot for free, just don't expect it of me. I like Mike's comment above referring to free work as favors, favors bring with them the notion of being returned at some point. I shy away from "good causes" that I don;t necessarily support as I your charity is not always my charity. I do free work for certain people / groups either because I like the cause or we can do very creative work, sometimes more creative than my usual clients who pay middle to high fees. I have had random non-profits contact me to shoot for free but usually they drop out of sight when I ask if they get paid or are volunteering their time for the cause. Some non profits pay their staff very well. exactly, if you don't believe in it, you're not getting paid, and you can't try anything creative, where is the value in doing it? 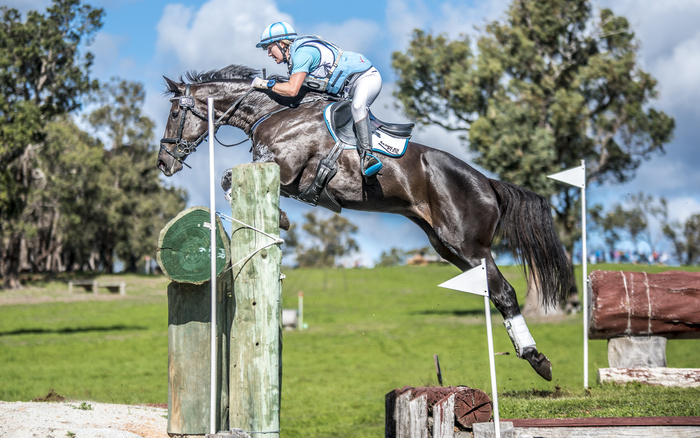 I shoot semi pro (weekend warrior) at equestrian eventing in western Australia. I first covered a pony club event for free as the "pro" (another weekend warrior) pulled out on Saturday morning of the event my partner had organized . I hadn't got into it at the time and I had a kit lens 18-105 4.5-6.5 . The images were awful. I liked the idea of taking photos so I purchased a decent lens ( sigma 70-200mm f2.8 ) and learned about the basic principles of photography such as depth of field , metering etc and watched a whole lot on YouTube about basic editing on adobe light room and also just playing around with it , later on I got a D750. Ive learned about what riders like and dont like with jumps and dressage. They are also enthusiastic buyers of photos as well. If you're shooting what you love, you'll take more care to learn properly and get it right. Your love will show through in your images and you'll attract people who also love what you do. Good to hear that it's "paying" off for you. One of my latest images that the rider in question purchased at a Eventing WA CNC *** level . Even now I'm looking at it thinking of other angles and other improvements. I wanted to show the ditch and the height difference. On lightroom I tweaked the blue sky and deepened the green. Added some clarity on the horse with the adjustment brush. I spend hours culling , cropping and adjusting my photos on lightroom. Its part of the fun. I noticed a lot of the portrait images on the bottom of the pages are soft . For equestrian must be sharp as a tack. Thanks Ross Floyd for down voting my picture.I was talking to Rob and trying to show how I have grown to love my images and you go and down vote it. Nice one. He's down voted a comment I made above, about how some of my free clients have tipped me. I have to assume that he disapproves of tipping. I was hoping for an explanation from him tbh. I made a comment comparing the portraits below to my photo above and I thought he was annoyed at that. "We shot a lot of weddings in those first few years: 50 weddings a season, sometimes 3 a week"
My gosh! That's a helluva lot of weddings!! I don't know any single shooter around here that has ever come close to those numbers, charging or not!!! It was a steep learning curve but it really showed us where our weaknesses were. We were shooting a lot of Mediterranean resort weddings in Coptic Christian countries where non-church weddings couldn't happen on the weekends so we usually shot Monday, Wednesday, Friday. Many of the weddings were only a few hours long so they didn't take it out of you the way a full day wedding does. After we built our name we started shooting huge (2000 guest), full day, Greek and Cypriot weddings and that wipes you out for the next day, and the editing took a lot longer, so we had to limit the number of wedding we shot. These days, with the types of weddings we're shooting and the amount of time we spend editing, just the though of 50 weddings a year would leave me shaking and crying in the bottom of a my shower. I come from the commercial side, and I NEVER shoot for free and I never have. I had "traditional" photography training, I interned at a catalog studio while I was in school, and I was an assistant during my time in college and for some time after. By the time I was ready to venture out on my own, I knew the value of what I was doing. My day rate is (of course) higher now than it was when I first started out, and I'm willing to be flexible on prices if it's a project I really want to work on, but FREE has never happened for me. I have bills to pay and unfortunately I can't pay my light bill with "experience." I turn down free work constantly because our industry is over run by brands like Daniel Wellington and Happy Socks who see no value in the work we do, and because there are up-and-comers that think the exposure will be great and are actually agreeing to do work in exchange for a pair of socks. And I can't blame the brands, because they're being smart business people. I blame my colleagues for actually doing the work. Why would anyone pay me $3,000 for something when theres another guy willing to do it for free? The brands only think it's OK because we're telling them it is. If EVERYBODY asked for money, they would have to start paying. Daniel Wellington did $200 million in sales in 2015. They can afford it. I completely agree, if somebody who should know better asks me to shoot for free, they're going to be disappointed with my response, but if you had a friend who was doing something amazing that you'd always wanted to shoot, but they hadn't thought that photography could benefit them yet, you wouldn't offer your services for your own enjoyment and to help them out? I would also argue that your "traditional" training was a lot of working for free yeah? And I wouldn't really say I worked for "free" when I was in school even though I did spend a semester interning at a studio (which I got school credit for.) The experience of school was SUPER important though, but not really for the "technical" aspects of photography. You can learn all that stuff on YouTube. The best thing that happened to me in school was getting my work critiqued, and I mean really critiqued. I remember doing photos in school that I thought were AMAZING, like A+ best student work ever, and having my teachers absolutely shred me to pieces and give me a D. The problem with a lot of these people doing work for free is that everyone on social media tells them they're great, and nobody has ever told them that they're not. The brands hiring them don't really care because they're only using them because they have 30k followers they got from being on the suggested users list. Honest critique is such an important step, both getting it and learning to take it. Same sometimes in equestrian. Lady turned up to an event and took thousands of pictures with a professional lens . She is 'practicing ' for going commercial and giving away all her photos. I couldn't believe it. Why not put the photos up and see if people will by them , you learn and may make some money.Worked for me. If the photos are good people will buy them. Spending a day of your time 'practicing' then just giving your photos away t riders I just dont see the point. Great article Rob. Good to hear from someone who doesn't think working for free is sacralige, nor a right of passage. And I really like your way of drawing the line between working for free and being worked for free. "This is the big difference: choosing to do unpaid work as opposed to being asked to do free work." Most of my photos are taken at cosplay conventions because I love the outfits and the atmosphere. And the rest are taken as a part of a group where we all chip in to hire a studio for a few hours. If someone wanted to hire me I would love that. But until then I'll just keep taking photos for me. Thanks Adrian, I shot a cosplay con once, it was really fun and I collected the emails of all the players and sent them the images for free. That was before I shot professionally but I still get the email of people I shoot on the street and send them the image if they want it. Great article, there is no in shame in offering in pro bono work in any profession - nor should there be in photography. As a keen amateur I'm always looking for different things and experiences to shoot. I've done some paid work but don't have a problem shooting for free if it's something I'll enjoy or learn something from or even just make contacts that might bring those at a later date. Thankfully and equally sadly I have a well paid job and think I would struggle to make anywhere near the same through photography, so I think that makes it easier to accept the pitfalls of "free" work. I have declined jobs where I was going to steal it from a paid pro tho ... everyones got bills to pay. Rob, great article. Whether the greater community realizes it or not, the world has turned, and it's not going to turn back because a bunch of folks on a blog don't like the new paradigm. 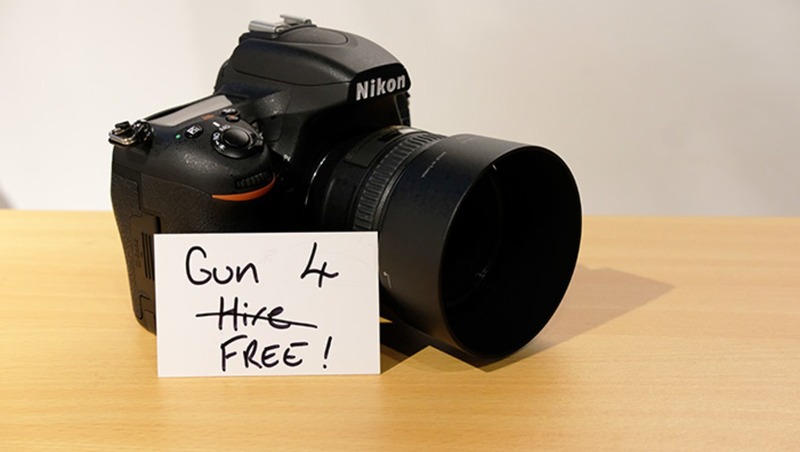 If your competition wants to shoot for free, deal with it. Improve your skills, improve your marketing, fail, get up and fail again. You will either make it or you won't, but don't blame the guy down the street for it. 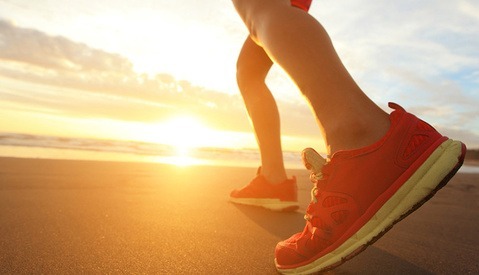 Ultimately we all win or lose based on our own skill and desire, not the actions of others.